Reclaiming Wildlife at Lost River Cave: One Songbird at a Time! Partridges running to the valley. Last week brought great excitement to the 70-acre Lost River nature park. Marylyn Simmons, of Smiths Grove, Ky., and her grandson Jarrod Knight, arrived at Lost River Cave with one goal in mind: to repopulate the area’s depleted bird population. After making arrangements with Annie Holt, operations supervisor of Lost River Cave, Simmons and Knight arrived early Wednesday morning with three coveys (small flocks of birds) in tow and a hope of hearing birds singing throughout the entire valley. 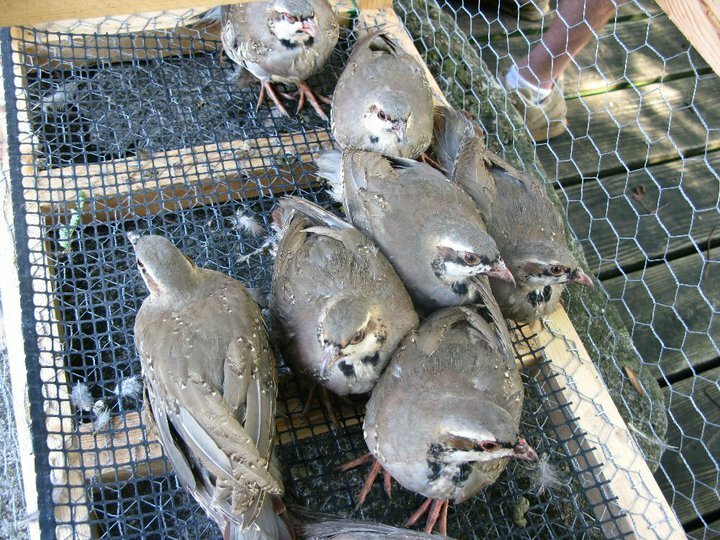 Simmons has had experience raising birds before, but her populations were continuously preyed upon by other animals near her home. She decided that the area around her home was not safe enough for the birds and says that she took great care in selecting a site that will provide a sanctuary from flying predators. Simmons, and Lost River Cave staff chose three places in the valley to release the three-month-old partridges. These non-migratory birds will join with other birds, squirrels, rabbits, butterflies, and fox that live in the valley’s protective habitat that is filled with places for animals to hide. An additional three pheasants were left in the operations office to be raised for a few months until they are ready to be released into the valley with the other birds. Check out these photos of the songbird release at Lost River Cave and Valley!